CodeOn receiving the documents, all invoices are checked and HSN Code is entered in all the invoices. After verification, all the purchase and sale invoices are uploaded on the GSt Portal. Once all the Invoices are uploaded on the GST Portal, then GST Return is filed in a prescribed form. GST Registration is mandatory for those entities whose turnover exceeds the threshold limit of 20 lakhs in general category states and 10 lakhs in special category states. Under Goods and Service Tax, Input Tax credit can be availed, thereby eliminating cascading tax effect for the applicants. All other taxes like Excise Duty, VAT, Sales Tax etc are abolished and unified under one head GST; hence the profits increases by reducing the number of taxes paid. GST Registrations are based on PAN. 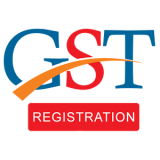 Moreover, all the transactions are recorded with GSTIN number and are automatically updated on GST Portal. Compared to others, in GST there are minimum compliances. The applicants needs to track their invoices, three monthly returns and annual return. Who are required to file GST Return? Can GST Return be revised? Yes, a GST Return can be revised. Incase after furnishing the return, any omission or incorect information is later discovered, then the applicant may revise the return within the same month. Moreover, a revised return shall not be allowed after the due date for furnishing of return for the month of September or second quarter, as the case may be, following the end of the financial year, or the actual date of furnishing of relevant annual return, whichever is earlier.